Located right opposite Much-More in the Karol Bagh market is Rahul Momos Point. This takeaway joint serves delicious momos, pasta, and maggi. 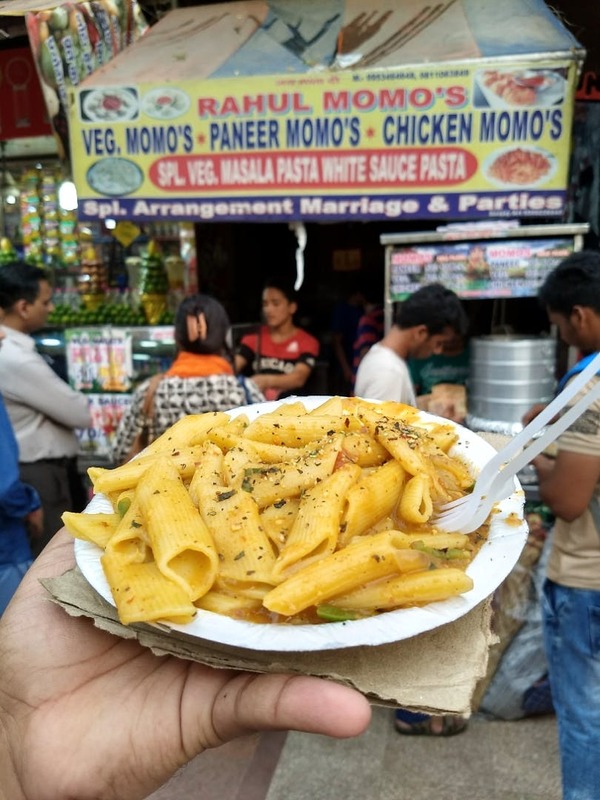 Offering momos in the usual variants - veg, chicken, and paneer, this eatery is known for the pasta served here - white sauce and veg masala pasta. Just for INR 50, you get a plate of sumptuous pasta that two people can easily share, yeah, the quantity is that good. Oh, and if you don't want to stand there and eat, simply ask them to pack it, they'll add INR 10 to your bill as packaging charges. The momos are priced at pretty decent rates and the portion size is good too. The fried variant costs INR 10 extra. Their paneer momos are pretty bland and they should improve their seasoning. And don't expect any high-class hygiene here as this is a typical street stall.